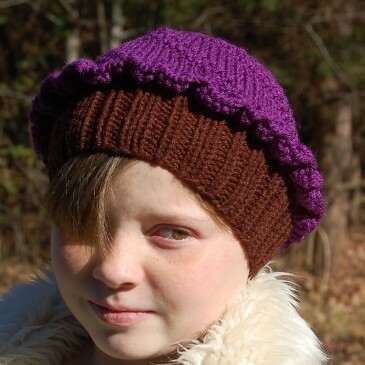 The Cuppycake hat is knit in the round with no seaming and a nice swirl effect. With three options for the ruffle, you will be able to please everyone. I have included a photo tutorial to help with the ‘tricky’ part, but really this is an easy and cute hat.